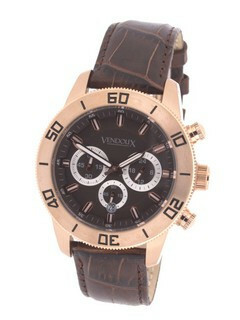 Watch with quartz chronograph movement. Watch is 5ATM, water resistant and has 2 years warranty on the movement. The watch has a genuine leather strap.